The resignation comes as the state unit of the saffron party served a show-cause notice on him seeking explanation over his controversial remarks. 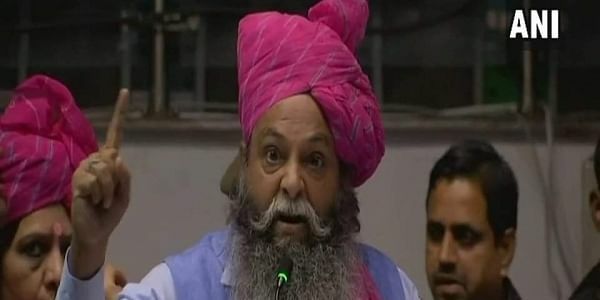 CHANDIGARH: Haryana BJP leader Suraj Pal Amu, who had announced Rs 10 crore bounty for beheading Padmavati actor Deepika Padukone and director Sanjay Leela Bhansali, today resigned as the chief media coordinator of the state unit of the party. dedicated workers and office-bearers. He is surrounded by a coterie which is taking him away from dedicated workers for the last three years. I had worked with full dedidcation for the party in the past few years,” the letter stated. Barala confirmed that he got Amu’s resignation but added that no decision had been taken by the party on his resignation so far. Amu said that he will continue to work as an ordinary BJP worker. The state unit of the saffron party had immediately distanced itself from Amu’s remarks, saying he had made them in his personal capacity. this film at any cost. "We will reward the ones beheading them with Rs 10 crore and also take care of their family needs. We know very well how to treat those who insult the Rajput community, " he had said.